Society of Native Nations hasn't added a story. The Society of Native Nations (SNN) has been asked by the community of Alpine, TX and the surrounding communities in West Texas to help stop the Trans Pecos Pipeline. SNN has committed to help by starting a camp for the Water Protectors and raising funds to maintain it. The camp has been named "Two Rivers Camp", known as "La Junta de los Rios" by the local native communities such as the Jumano, Apache and Conchos People. The Trans Pecos Pipeline (TPPL) is owned by Kelcy Warren, billionaire and CEO of Energy Transfer Partners, the same company that owns the Dakota Access Pipeline in North Dakota. The TPPL is a natural gas pipeline that is being built through West Texas. It will go under the Rio Grande River into Mexico where the gas will be exported to various foreign countries. This pipeline is already destroying the environment in West Texas and will destroy the aquifer under the Rio Grande River. Owner Kelcy Warren is also forcibly taking land from local ranchers in the name of eminent domain, a legal process that should only be used to benefit the public. NO One in the United Stated will benefit from this pipeline. The only ones benefitting are Kelcy Warren and his billionaire cronies. The Society of Native Nations believes it is our moral obligation to help and we have committed to help raise funds for the camp and the Water Protectors that are already headed to "Two Rivers Camp ". It is time for all of us to Stand Up and Speak Out against these greedy profiteers by helping to stop the Trans Pecos Pipeline. We are humbly asking for your donations to fund "Two Rivers Camp" Legal Defense Fees. 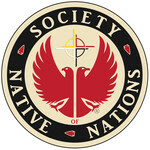 Society of Native Nations hasn't posted any updates yet. Society of Native Nations is managing the funds for this campaign.